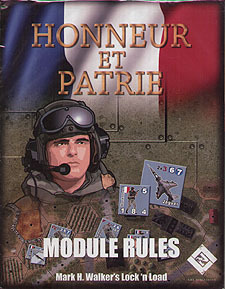 Honneur et Patrie is the first expansion for Lock 'n Load: Heroes of the Gap. The expansion introduces the French army into the war. Highlighting the fighting in not only West Germany, but also right into Paris, Honneur et Patrie features French conscripts, the Foreign Legion, Paratroopers, and lots of tanks.